In order to be a superstar you got to be ready to be a superstar. Yes, Marmion is a force but not THE force yet. That title still belongs to Montini and they showed why on Saturday. I applaud Marmion for their willingness to take on all comers in all divisions of Illinois wrestling. One thing I think they forgot to research was the officials. 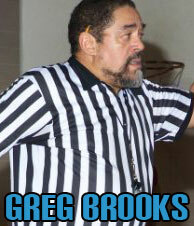 Who's who in the officiating world? All the power schools like Sandburg, GBN, Providence Catholic, Lockport, Neuqua Valley, Montini, Mt. Carmel, OPRF, Minooka, etc know the officials and what works with them and what does not. So Marmion coaches (especially assistants) you would be wise to learn officials like Dan Fulcher, Greg Brooks, Ray Winesberg (the second official yesterday), Greg Anderson, Jeff Bowers, Jim Chaloupka, Frank Filippi, Jeff Sorenson, John Haneberg, and Tony Clarke, among others. You met Jon Schaus yesterday. Everyone in the state knows that if Jon tells you something that you might want to heed his instructions. You won't get a second chance. Going back and forth with him can only lead to what it lead to, ejection, negative points and embarrassment for you or your program. These officials will be at both individual and team state. And all I can say is be glad that Tom Heniff is no longer officiating. You might of forfeited the entire dual yesterday trying to smart mouth him. He probably will be the head of officials at state so don't take any complaints to him because you won't win. And for those that told you that Schaus was too much a show, had Kevin Tann been in the building not only would he of been the show but he would not of put up with any nonsense either, but he was busy doing DI, DII college so you probably caught a break there. In fact here is a hint for Coach Whitford and anyone else new to Illinois wrestling from a long time observer. When you get to state and just before the finals pay close attention to when they announce the officials. Listen to who gets boo'd the most by the fans. Circle their names in your state program. Those would be the ones to not mess with during your duals in the future. There is a reason the fans know them. They have earned those boos over the years and to be honest they are proud of those boo's. Now Marmion will add their voices to the boos for Jon Schaus, a former booed champion at state. The wise coach knows how far to push the officials and the best coaches don't even talk to the officials. If you know you got the horses (no pun intended Montini) then no need to mix words with the officials. And in particular yelling at them will get you in big trouble with the elite officials. Now you can listen or read the different post in this thread that say Schaus is this and that but in the end he has the whistle and the credentials to back it up. That means what he says goes, you won't be changing his mind, bullying him into anything but trouble for yourself and he will be on a lot of high profile matches. He is not going anywhere anytime soon. So you, the Marmion coaching staff need to adjust to the official because he does not and will not adjust to you. That ejection in my opinion took a lot of momentum and fire out of your team. It turned the crowd against your team and really put the Montini machine in overdrive. Once that happened...well...you saw the result. Keep your cool, especially when your team is not wrestling well. Lesson for today, learn your officials, or pay the price. Last edited by MR TWISTER; 02-02-2010 at 12:33 PM. Mr. Twister, I could not agree with you more. Leave it to you to speak the harsh...but honest...truth. It was almost comical to see some folks on the forum attempt to blame the officiating for a 27-point loss. Any attempt to blame something that both teams had to deal with equally...regardless of the margin of victory or defeat...is an excuse and nothing more. As I commented here last night, when you watched this match, you knew one of the teams had been there before...and the other one hadn't. And it became pretty obvious which one was which. Redemption starts Saturday. Let's move on. Calling out the Marmion coaches via a front page blog doesn't seem quite right. A personal note might have been more appropriate. Oh I am not the hater..never that..
What? I am not calling anyone out. I am saying what was seen. Everyone has seen the dual. A thousand people live and and more that on the archived views since yesterday. If you were not there then you have seen the video. And I like the Marmion coaches. Please don't make or take my opinion personal. I got nothing personal with the Marmion program, coaches, kids, parents or fans so please don't say that. They have been nothing but professional and personable with me. I am just doing my reporting job in the way that I report things. What I see is what you get. I would of said what I said no matter what the name of the team was. It's on video for anyone to see and make their own opinion. That was my view point but I can assure you I am not the only one that thinks along those lines. I believe everything is a learning tool. It is the educator in me. Marmion is going to be a fantastic national representative for Illinois wrestling in the future. If what happened this weekend at Montini makes them stronger then that is a victory for their program. If it crushes and divides them then it is a true loss. Nothing I write will control or effect their outcome. Last edited by MR TWISTER; 02-01-2010 at 12:35 AM. Since he was ejected is he required to sit out regionals from coaching? I'm afraid I have to agree here. "Calling out" may not be the right words, but you're definitely lecturing the Marmion coaches. If the site admins feel they have the right to use the IM front page to admonish a coaching staff or individual, then so be it. I guess that's the nature of free press. But I don't respect it and respectfully ask that it be removed. The AA forum or PM is a more appropriate (and professional) place for this kind of direct intervention in my opinion. Last edited by ILWrestle; 02-01-2010 at 11:43 AM. The reaction to Mr. Twister's blog post has been interesting. I don't think I'd have said my piece that way, but let's not get so hung up on the method used to convey the message that we ignore the lesson to be learned. As much as I root for new teams to enter the spotlight when they have the opportunity - I'm their biggest fan - I also think there can be such a thing as too much success too soon. When everything goes right, as it has for Marmion almost the entire season (and good for them), the success curve often progresses faster than the learning curve does. Learning to be the big man on campus means learning how to respond to adversity with the same resolve and class with which you respond to success. Learning to be the big man on campus means accepting the fact that you're going to become the team everybody else roots against. Learning to be the big man on campus means not making excuses for circumstances that a) are within your control; and b) both teams have to deal with equally in the course of a match. The team's wrestlers and most of the coaching staff likely already get it. The fans will need to do the same. When you're ready to learn those lessons and apply them, you're ready to take the next step. If they're not your thing, maybe it's time to re-assess your objectives. Remember that this is a blog (opinion column) and not a news story. People don't always agree with Twist, but he is not afraid to express his opinion. Maybe we need to put a disclaimer at the beginning of Twist's blog posts. Very well said Rob. I think that Marmion still has a long way to go to earn their spot at the top and I think Saturday was a good example of that. Great teams not only deal with success in a classy manner but they also deal with adversity with similar class. I think Marmion has the right idea going on they just need to continue to work and continue to build the program. One question I have - how many "coaches" for Marmion are also parents of Marmion wrestlers?? It is fair game, as it was a broadcast event and in the public domain. Mr. Twister did what any journalist might legitimately do and commented. "Boys freestyle. Real men Greco."